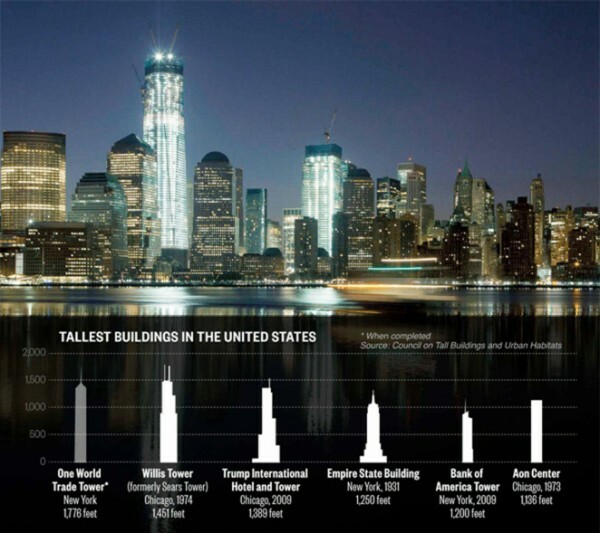 As of today, as you probably already know, 1 World Trade Center reached the historic height of 1,271 feet, eclipsing the Empire State Building and reclaiming its place as the tallest building in the city. 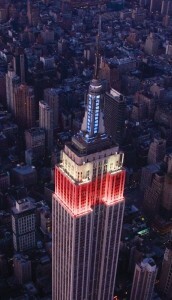 In honor of that achievement, the tower will be lit up red, white and blue tonight. The Observer asked Tony Malkin, owner of the iconic tower, what he thought of being No. 2 again. 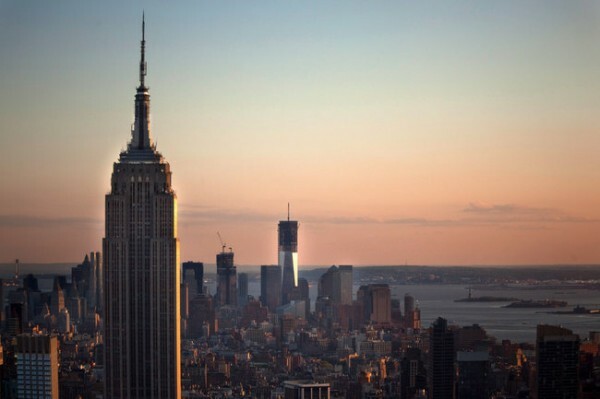 It is a fitting tribute, if also unusual, considering Empire State Building staff were told not to discuss its “cousin’s” ascent, according to New York magazine. Meanwhile, Curbed had a rather amusing video of the history-making column rising to the top of 1 World Trade. It underscores both the banality and the eager emotions surrounding this milestone. We have waited so long for that column to be but into place, though it is still just a 26-foot-long piece of structural steel. This is just another construction site, but also the most important one in the world. This afternoon, One World Trade Center will pass the Empire State Building as New York’s tallest skyscraper, reclaiming the city’s skyline and reviving the race for height that originated in Manhattan but which was resolved with the building of the World Trade Centerover 40 years ago. In just a few hours, workers are scheduled to install the first column of the 100th floor of the tower’s steel frame, which will rise 1,250 feet in the air, peaking just 21 feet over the crest of the Empire State Building’s observation deck.